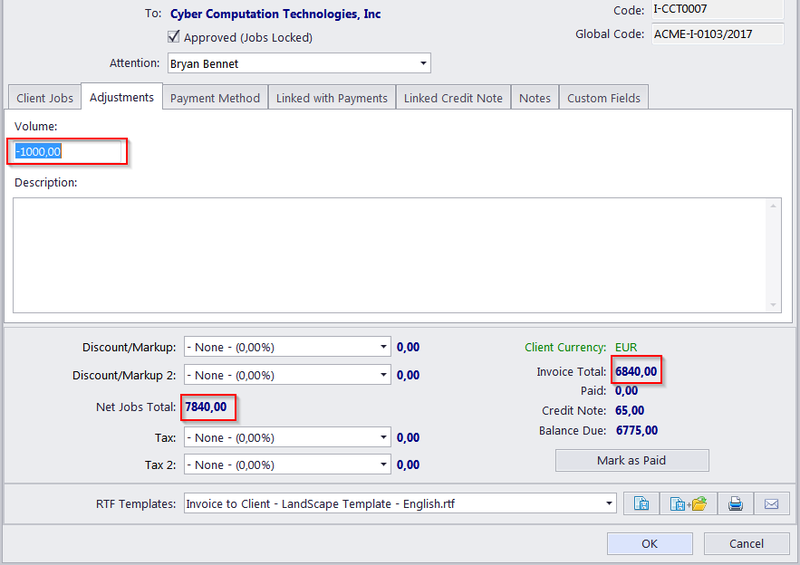 How can I deduct an amount from my invoice (without using percents)? 2. Switch to the Adjustments tab. 3. Add any negative value (for example '-1000'). 4. Now your invoice has your deducted value included.